“My Mom put me in painting classes when I was six. At that time, and throughout my childhood and into high school, I was drawing and creating things constantly,” recalls Wade Koniakowsky. 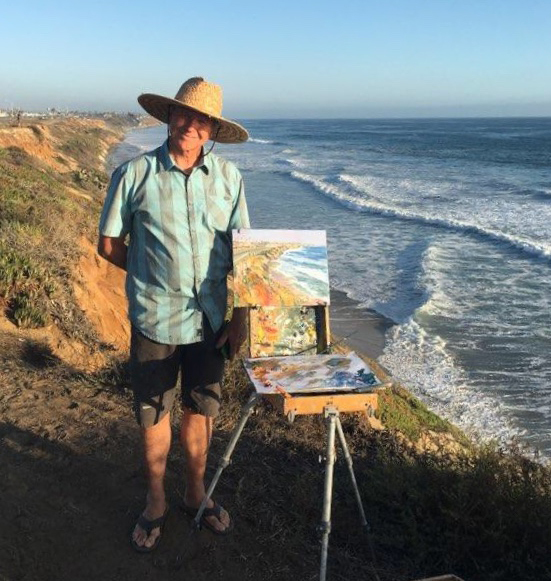 Growing up in Texas, today, the 64-year-old artist continues to paint and surf. 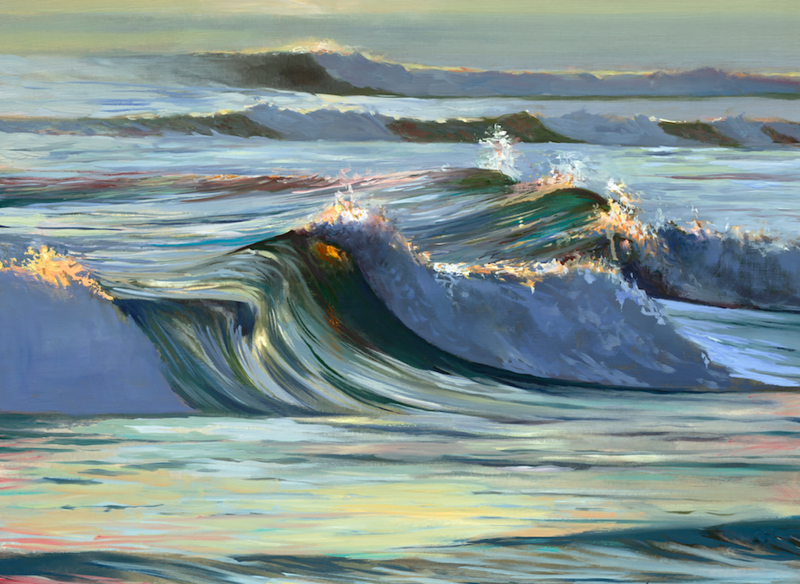 Living in Carlsbad, California, his speciality is ocean-inspired painting. His oil paintings of tropical interpretations are the cornerstone of his work. That was in 1966. When it came time to “grow up” and get a “real” job, Koniakowsky’s creative eye carried him into the world of advertising. Koniakowsky has kept his lines both on the canvas and in the water clean ever since. Of course, like most any artist, it’s not always easy. Convincing surfers to buy art is anything but a sure thing. The strategy appears to be working. 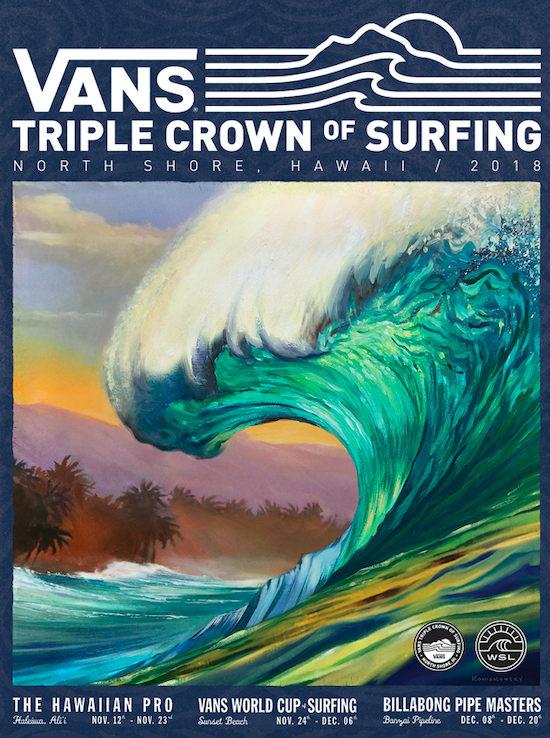 Most recently he was commissioned to do the artwork for the 2018 Vans Triple Crown of Surfing in Hawaii.